What, if anything, does our constitution tell us about anti-smoking laws and policies? According to the Constitution’s founding provisions (section 1) South Africa is founded inter alia on the values of “dignity … equality and human rights and freedoms” and “the rule of law”. Clearly, efficacy alone does not legitimise policies. Policies may not, for instance, negatively impact freedom, equality, dignity or the rule of law. The rule of law and principles of good governance require a rational connection between policies and objectives, to which end, at the very least, defined objectives should be the probable outcome of policies. Policies are effective if predicted and actual benefits exceed costs. For polices to be sound there should also be a proven need, legitimacy, clarity, transparency, honesty and amelioration of conflicting of interests. Our constitution and our common law also recognise freedom of association and contract, freedom to choose values, beliefs and lifestyles, and property rights. Core aspects of the anti-tobacco proposals under consideration fall short of these criteria. The question in a free and open democratic society based on, for instance, human dignity, equality, rights, freedom and the rule of law is whether smokers and suppliers who violate no other person’s rights should enjoy precisely the same recognition, respect and protection as anyone else. Our constitutional provisions and values suggest that they should. The principled argument for unequal treatment is that special measures are necessary to protect people from harming themselves. This patronising view is obviously inconsistent with human freedom and dignity. It is augmented by the contention that the government may legitimately interfere with private lifestyle choices in the interests of public health. The problem is that if this principle is accepted, virtually all freedom is implicated. By the same logic, people who engage in dangerous activities, consume commonplace food and beverages, live sedentary lifestyles, are obese, consume alcohol and the like, can and should be subjected to comparable measures. Extreme regulation of tobacco is the thin edge of the wedge. Proposals for the far-reaching extension of the tobacco principle to other aspects of life are under consideration and cannot logically be opposed if condoned in the tobacco context. The axiom that smoking should be curtailed to save social and health care costs is dubious for two reasons. Firstly, the actual trade-offs between revenue collected directly and indirectly from tobacco, and social costs such as pensions saved due to early death, on one hand, exceed or fall short of social and health care costs, are unclear. The burden of proof falls on those who assert the latter because it is they who demand intensified regulation. Secondly, that lifestyle choices and countless other activities incur social costs does not ipso facto justify the erosion of rights. Liberty cannot be denied because third parties choose to care for the needy. Either way, if smoking reduces life expectancy to the extent asserted, it means smokers save society (including smokers themselves and their families) all the health care and cost-of-life expenses they would have incurred had they lived longer. Public policy should address defined societal needs and be formulated with both clarity and honesty of intent. The quixotic Department of Health has unfurled a series of increasingly restrictive measures ostensibly designed to achieve its stated public health objectives. Yet the health ministry’s latest attempt to further regulate the rights and freedoms of a public already drowning in a tide of excessive control, would leave law-abiding citizens, workers and professionals alike, who are consumers of tobacco products, literally out in the cold. That there is need for comprehensive and balanced tobacco policy, law and regulation is generally acknowledged, also by the tobacco sector. What is debated is whether existing measures suffice. Regulation has two distinct objectives. Firstly, the rights of people who do not want to be subjected to other people’s smoke, and secondly the rights of smokers and suppliers who do not impose on others. The first principle is not seriously debated and not addressed here. Effective measures to protect people from having their rights violated are as legitimate regarding tobacco as they in any other context. No tobacco-specific principle is needed, although tobacco-specific measures may be necessary to give effect to the principle. They protect the health of the public, permit freedom of choice, freedom of association and yet make commercial sense. 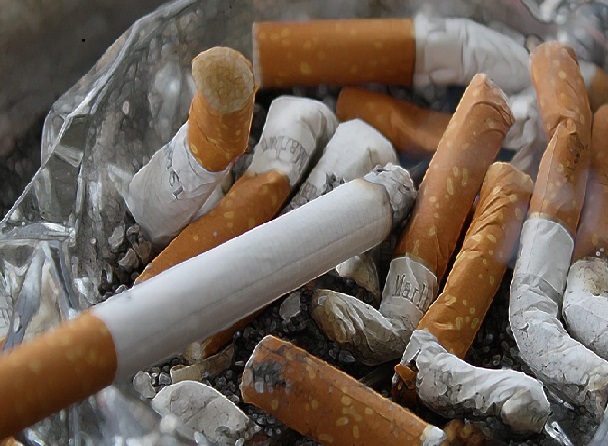 Non-smokers should not go into the smoking areas if they don’t wish to breathe second-hand smoke. Under current regulation, the fundamental right of all citizens to choose is protected. Under the proposed regulations, this right to choose is practically removed. If enacted in their current form, the new tobacco regulations will, in effect, degrade consumers of tobacco products, turning them into third-class citizens in all public places. These third-class South African citizens, black, white, female or male, urban or rural would, henceforth, be treated as publicly identifiable ‘different’ outsiders and become fair game for a raft of other forms of social exclusion and discrimination. The irony is that consumers of tobacco products already pay huge sums of tax to the very government that now seeks to punish them for the pleasure! Good public policy making is broad, extensive and embraces detailed consultations with those most directly affected by the proposed policy, legislation and regulation. Before democracy, the bulk of South African public policy failed the legitimacy test by virtue of its exclusion of the majority of those affected by it. In the case of the current draft tobacco-control related policy, this fundamental precept of broad consultation has also been conveniently sidestepped. Farmers, manufacturers, retailers, the leisure sector and consumers have all been excluded from consultation relating to the formulation of tobacco-control policy, leaving it captive of policy civil servants entirely unaccountable and unresponsive to contending public opinion. They say they have to do this because South Africa is a party to the Framework Convention on Tobacco Control (FCTC) and this forms part of international best practice. Regardless of the FCTC, all public policy should ideally be the subject regulatory impact and cost-benefit assessments. This is not only inherently wise, but may be required by implication under sections 33 and 195 of the Constitution. It is clear that although SA has an obligation to implement the articles to the FCTC, it is up to SA to decide how to implement the articles or its guidelines, subject to our constitution, taking into account scientific evidence, best practice, SA’s key priorities and national circumstances. There is therefore no obligation on SA to shove these extreme regulations on the people. In fact, there are countries that are parties to the FCTC, which have not banned indoor smoking. For example, Japan only allows for smoking indoors because of crowded streets. Switzerland, where the FCTC Secretariat is based, recently held a referendum where citizens voted against a smoking ban. Rather than formulating sound public policy tailored to the needs of our country, elements within the Department of Health in particular, there appears to be ticking an internationally printed scorecard of tobacco control without applying sensible monitoring and evaluation of the impact, effect and efficacy of existing policy. For example, the consumption of cigarettes in South Africa may have actually increased in recent years mainly due to the availability of cheap illicit products in the market, which stimulates consumption and defeats the health objectives of reducing consumption. Moreover, while compliance levels with current regulations in the formal sector and first economy seem to be fairly high, the same cannot be said in the informal sector, rural areas and second economy of our country. Is the health of these people somehow less important as long as first-world regulations are showcased and boxes ticked for the benefit of the cameras and superficial awards? Our country is internationally renowned for its commitment to fairness, equity, justice and full representation. Yet the proposed public place smoking regulations are unfair, discriminatory and humiliating. Nor do they meet any of the principles of social justice, or adequately account for the preferences of a significant section of the public. Irrespective of one’s disposition towards tobacco matters, such prejudicial discrimination is anathema to everything we purport to stand for in our democratic dispensation. Indeed, in a country that strives for tolerance and embraces diversity, South African public policy on tobacco matters is increasingly intolerant, high-handed and authoritarian. To wit, the law-abiding and socially productive minister, politician, teacher, doctor, nurse, engineer, architect, sportsperson or worker that is a consumer of tobacco products will, henceforth, be a restricted person. In effect, the proposed regulations are redolent of that awful, painful and unwanted spectre from the past, Group Areas. The difference today is that, irrespective of race or class, the proposed public smoking regulations will, in effect, create ‘group areas’ of law-abiding and economically productive citizens, workers and consumers in and around all public places from stadia, to restaurants and beaches. The parliamentary Portfolio Committee on Health recently questioned these draft regulations. I’m very encouraged by the comments and questions asked by the committee. This gives us hope for consultation, transparency and all the democratic principles we fought so hard for! The Tobacco Products Control Act is an Act of Parliament and Parliament must ensure that the Act is implemented to suit the needs and priorities of SA. I’m however quite disappointed at the Minister of Health’s response to our MPs’ comments. It was inappropriate for him to have called the MPs’ remarks “absolute ignorance” when it is their mandate to hold him, the Executive, accountable. Is not the Minister’s or department’s mandate to ensure that the MPs are informed about the tobacco regulations? If the intention of the Government’s policy on tobacco is to improve the health of our people by reducing the uptake and incidence of smoking, the question is whether the draft policy has really been conceptualised, formulated and calibrated to achieve this stated desired outcome? If, however, the hidden, underlying agenda of tobacco policy is to de-normalise, de-legitimise and eventually ban tobacco in South Africa, this should be the stated aim of tobacco control policy. If prohibition is the government’s ultimate aim, the lessons of history are all too painfully clear, except of course, to extremists.